Justine Bateman became a household name as a teenager when she played Mallory Keaton on Family Ties. That show ended in 1989, 30 years ago this spring, but it’s not what Bateman will be talking about at the L.A. Times Festival of Books on Sunday, April 14. Mallory’s long gone, while Bateman continues to work as an actor, writer, director, and producer. Fascinated by the intersection of technology and entertainment, she earned a degree in computer science and digital media management from UCLA in 2016. 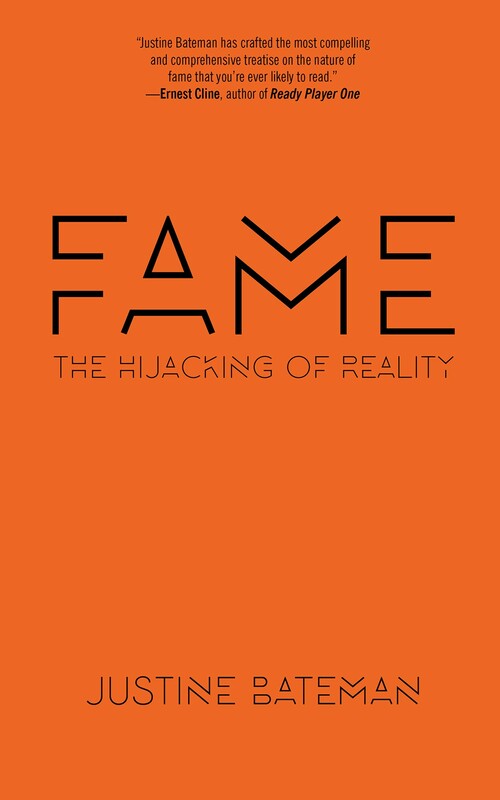 Her first book, Fame: The Hijacking of Reality is not a memoir—she hates them—it’s an in-depth look at what fame is and how it affects people. In your book, you talk about how all of the media and all of the screens that surround us have created a “frenzy to be famous.” Why do you think so many people want to be celebrities? It doesn’t have to do with what fame actually is. It has to do with the way fame is perceived by society. Fame is perceived as the pinnacle of human existence, with which comes, and I’m putting this in quotes because it’s not necessarily true, “universal approval, love, money, invitations…basically, the return to early childhood, if you had a nice childhood, that is.” Everyone approves of and applauds everything you do, like a two-year-old. “Look, she’s feeding herself! Oh, she poured her own milk in the bowl!” As a toddler, you’re provided for. You never worry about money. You don’t think about making doctors appointments. You have no responsibilities and everything is taken care of for you. We want it to be true so badly that there is some way to return to that. They don’t want it to not be true. I think that’s a lot of what drives celebrity culture. I’m not saying it’s all bad—there’s some super fun stuff—but it’s something to be managed. It’s not like you’re queen for a day and everybody’s super nice to you, like it’s your birthday or something. Your book makes it clear that fame messes with people, whether they already have it or they’re trying desperately to get it. At times, it almost feels like you’re writing about an addictive drug. Do you ever feel like you’re in recovery? It comes across like that because of the way I process anything that goes on in my life. Anytime a button gets pushed in me, I don’t seek to change the elements that pushed my buttons. I personally seek to change the button. I want to get rid of the button. I want to be able to be in a situation where people can try to push that button, and I don’t react to it at all. You’re working on a bunch of creative projects right now. What’s next on your to-do list? I’m writing my second book. It’s called Face. It about women’s faces getting older in the public eye and why that pisses the public off so much. I’m about a third of the way through writing it. It’ll have 60 or so really short stories that are based on my experiences and the experiences of all these other women that I’ve been interviewing. I take their experiences and emotions and I sort of fictionalize them into these very short stories. I’m directing a film this summer starring Olivia Munn and Justin Theroux called Violet that’s a script that I wrote. I’m writing and producing that. It’s my first feature. The first draft of Violet I wrote in 2011. The book Fame I started working on the summer of my sophomore year at UCLA in 2014. All this stuff is coming forward at the same time, but it’s just coincidental. Justine Bateman will be interviewed by L.A. Times writer Deborah Vankin, Sunday, April 14, 2:30-3:15 p.m., on the Main Stage at the L.A. Times Festival of Books. Next articleCould Burning Man Be Shut Down by The Man?